Posted on January 28, 2019 at 7:45 am. The advisory panel to Hokkaido prefecture government seems to have settled on Tomakomai City as the preferred location for the Hokkaido integrated resort (IR) bid. The news comes as Japan prepares to award three sites IR licenses within the year. 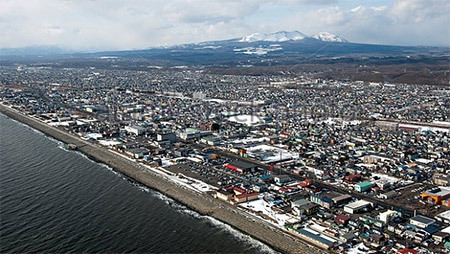 A report by GGRAsia, however, indicates that Tomakomai is not locked in as a casino cite, but has been given ‘priority status’. The city is a strong candidate thanks to its closeness to the airport and the tourist hub of Sapporo. Hard Rock has already revealed its intention for a Tomakomai IR, recently unveiling plans that include monorail access to the airport, hotels, spas and theatre. Gambling giant Caesars Entertainment has also expressed interest in the region, while Rush Street Gaming said last year that it wanted to transform Hokkaido into a global travel destination. Companies like Melco Resorts, Mohegan Sun and SJM participated in the Hokkaido IR Showcase held earlier this month.